If you’re a marketer focused on growing an email list, then chances are you’ve heard the term “Squeeze Page” before. But what exactly is a squeeze page? 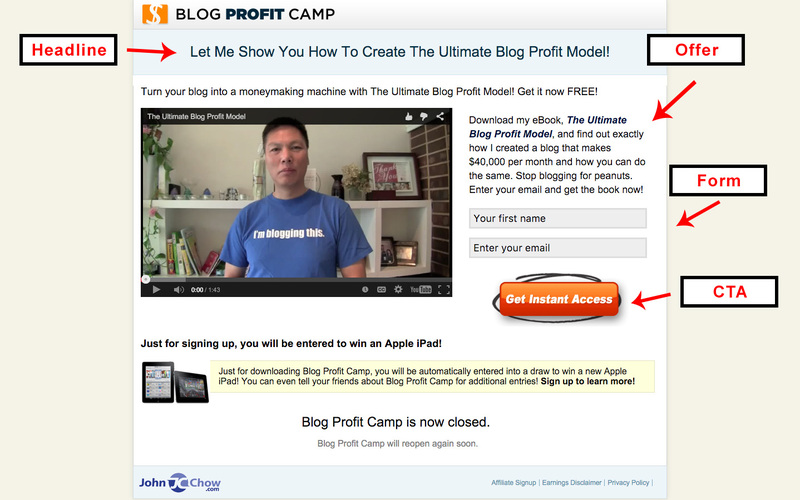 A squeeze page is a landing page but with a specific purpose, to collect a user email address. This is usually accomplished by providing some sort of download in the form of an ebook, whitepaper, or other free product. If you're focused on building an email list then you need to be using squeeze pages. In this guide, I’ll walk you through the main elements of a squeeze page, the best practices, and the best products to give away as a lead magnet. When a user visits your squeeze page, a headline is one of the first things they’ll see. Ensure your headline clearly communicates what your offer is in under 15 words or less. It clearly states what a user will be getting - “The Ultimate Guide to Vancouver Events”. It communicates a benefit to the user - “save you money”. The description of your squeeze page offering is the second most important element after your headline and sub-headline. This can be either a few sentences describing your offer, several bullet points, or a short video. In order to keep you squeeze page as focused as possible, limit the amount of text that you display above the fold (the viewable area when people first load your page). This is not to say you can’t have lots of text on your squeeze page, however. One trick is to maintain a good amount of white space on the top portion of your page, and have the bottom portion of your page content rich with testimonials and descriptions. This will help boost the SEO of your page by giving search engines something to crawl, while keeping the top of the page focused on the conversion goal. Since 55% of viewers spend less than 15 seconds on a new webpage, it’s important to convey your offer as quickly as possible. Use bullet points or short and concise sentences that make it easy for users to scan your page and still understand what you're offering. The form is where your squeeze page visitor submits their personal information. This will include an email field at minimum, and can include fields such as first name, last name, occupation, location, and more. Take the time to consider what type of contact information you actually need from your users, as it's been shown that added form fields can significantly reduce conversion rates. In fact, reducing the number of formfields from 4 to 3 has been shown to have resulted in up to a 50% increase in conversions. As a general rule of thumb, the number of form fields you ask for should correlate with the value of your lead magnet being offered. For example, users might only expect to give their email address for access to quiz answers, but might not mind providing their name and occupation in order to get access to a free course. The call to action is the button located underneath the form that allows users to submit their personal information. This is one of the easiest and most overlooked areas of squeeze page optimization that can make a world of difference if done correctly. The default CTA text on most squeeze page builders will say “submit”. Oof. Do not do this. Instead, try using a benefit statement such as “Start My Free Trial” or “Download My Free Guide Now”. 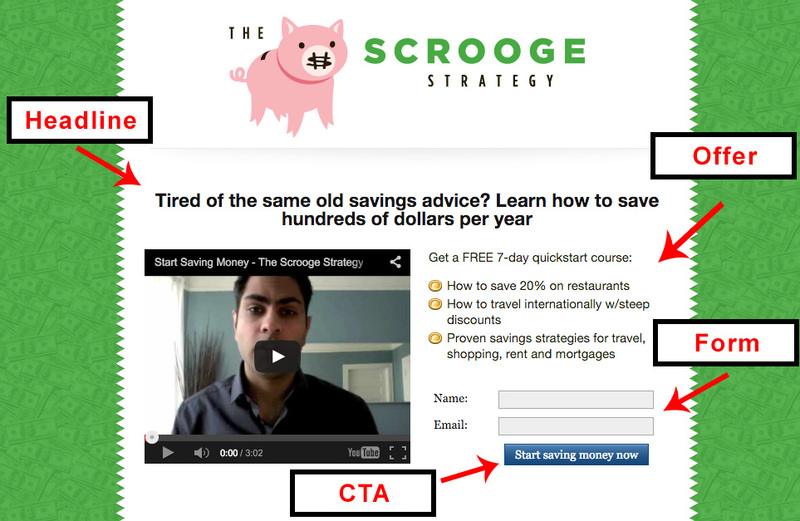 Here are 5 CTA Optimization Tips to get you started. Now that you know what elements make up a successful squeeze page, let’s take a look at some real life examples. There is an action oriented CTA - “Start saving money today”. Now that you know how to put together a high converting squeeze page, it’s time to start thinking about what you have to offer people in exchange for their emails. What you decide to offer is what we call a ‘lead magnet’. There are literally hundreds of potential lead magnets you could give away depending on what type of business you’re in. For the sake of simplicity though, I’ve broken down 5 of the most common lead magnets which can be used across all industries. Ebook: People see the term “book” and get afraid that they have to write an entire book to give away. Ebooks can be anywhere from 20-100 pages long and can include content that is already available on your website or blog. Consolidate this information into a PDF focused on a specific topic, add a cover photo, and give the pages a little design TLC. Checklist: A checklist can be used to simplify a blogpost or article into bite sized manageable steps to help users get started. Checklists are a great way of condensing broad topics into something actionable. Coupon: Give people access to coupons that are sent via email after they sign up. Giving away a coupon is a great strategy for two reasons. Firstly it gives you a target email list of people you know are interested in your specific product. And secondly, it’s a great tool that can be used to drive sales. Video Recordings: Give people access to video content such as recorded conferences, tutorials, and reviews. One trick is to use a platform like Wistia to allow users to see part of the video before requiring an email address to continue. Case Study: A case study is a good way to showcase some use cases of your product or service in a real world environment. Take past customers and highlight the objectives they were able to achieve with your business. Case studies are one of the best bottom of the funnel resources since it usually indicates a user has identified a need for your product or service and are now researching the benefits of your specific company. The last element usually associated with squeeze pages is what marketers refer to as an autoresponder. In a nutshell, an autoresponder is just a simple way of automating an email to send based off of a certain trigger. In the case of a squeeze page, we’d want the trigger to be that the user converts on your form, and as a result you send them your free lead magnet. There are a number of different platforms which you can use to do this but they all generally follow the same logic. First you set your condition. So in this case, a user converts on a campaign. And based off of that action, you send them an email. This is a very basic overview of how you would set up an autoresponder using an email marketing automation workflow. For more information on how marketing automation works, check out a free course here. There you have it, a quick guide on how to set up a high converting squeeze page, choose a lead magnet, and deliver your virtual product. What squeeze pages lack in design, they certainly make up in lead generating effectiveness.